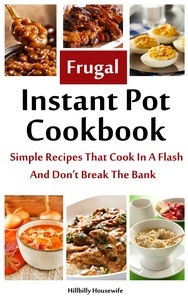 If you’re a long time reader of the blog, you know I’ve been working hard behind the scenes on a new cookbook full of frugal Instant Pot recipes. During the process I’ve been cooking up a storm. 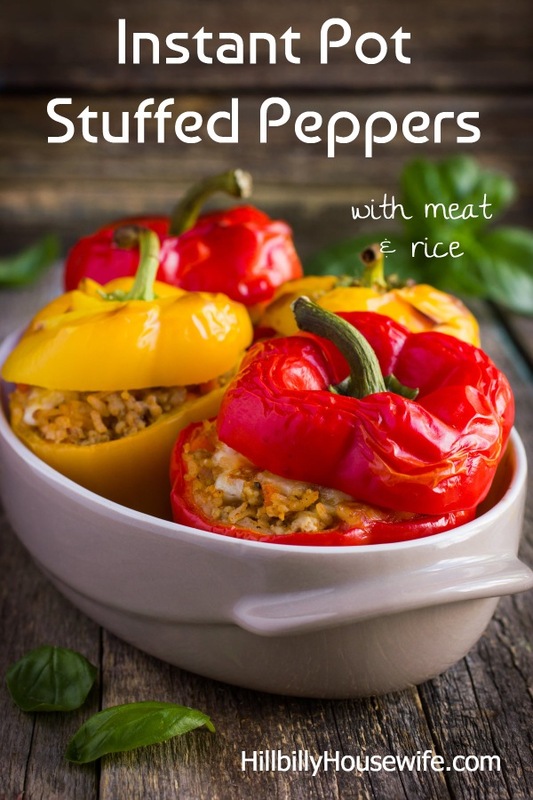 Today I thought I’d share my recipe for Instant Pot Stuffed Peppers. It’s a whole meal in a pepper including meat and rice and it’s absolutely delicious. In the end I decided not to include it in this particular cookbook because buying bell peppers can get quite pricey. I still wanted to share the recipe though because it’s quite tasty. And who knows, it may make an appearance in a future cookbook. Peel and dice the onion. Cut the peppers and remove the seeds. When cooker is hot, add oil to pot, and then add diced onions. Sauté onions until brown and caramelized. Add ground meat, salt and pepper. Brown meat, breaking it into small pieces. Add a french onion soup, rice and water. Mix. There’ll be some liquid from the meat already. Be careful not to add too much water to the mixture so the rice won’t get too wet. Remove extra mixture from cooker. Add about ¼ cup water to cooker. 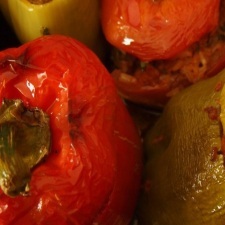 Return stuffed peppers to cooker, set cooker to steam or 4 minutes on high pressure. For firm peppers do a quick release, for softer peppers allow the pressure to release naturally.